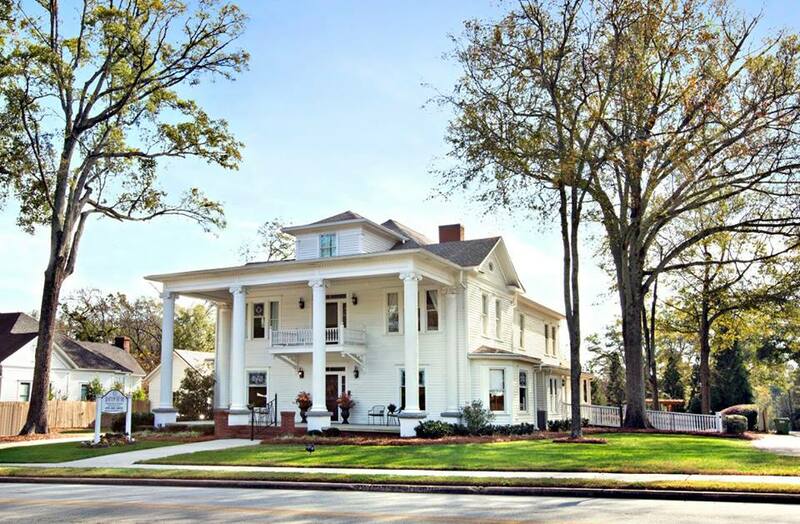 Forget everything you know about a southern bed and breakfast. Welcome to the newest B & B and event center in Georgia's Historic Heartland. Our newly renovated, neoteric surroundings will retool your stereotypes about small-town country lodgings. Our premier inn offers modern rooms and classic service, a serene stop whether you're touring Atlanta attractions or heading to Athens for a Georgia game. And if you need a place to host your business meeting, banquet, or wedding, Sparrow Hill Inn is your new event venue. So settle in, kick off your shoes, and stay awhile. So charming! Lovingly restored and FULL of historic elements... love this place!" Our wedding weekend at Sparrow Hill Inn was nothing short of perfect!" ​What will it be today? If you need a place to host your business meeting, banquet, or wedding, Sparrow Hill Inn is your new event venue. We are proud to offer discounts to those who serve our country. ​The Journey is the Destination. Come explore Georgia's historic heartland full of antique shopping, filming locations & historical landmarks. Whether you are joining us in the dining room or needing breakfast in bed, a gourmet breakfast awaits you.